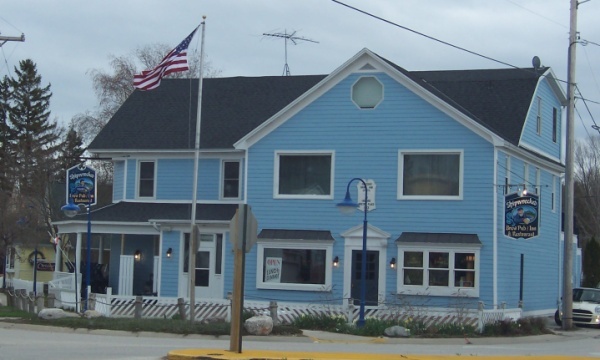 Shipwrecked Brewpub sits right at the bend of Highway 42 as it makes its way through Egg Harbor, one of the beautiful little towns on the Green Bay side of Door County. Housed in a saloon originally built in 1882, Shipwrecked opened in 1997 and has been treating thirsty residents and visitors ever since. Their Door County Cherry Wheat is legendary, drawing from the peninsula’s extensive cherry orchards. They also make Peninsula Porter, Summer Wheat, Lighthouse Light, an IPA, and a seasonal Pumpkin Ale, among others. Their brewpub also offers a nice selection of food after your beer selections, since one can’t eat on an empty stomach. 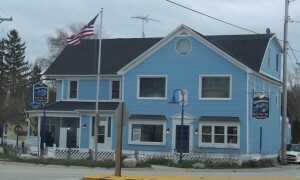 Shipwrecked Brewpub along Highway 42 in Egg Harbor. This was taken prior to a fire in August, 2017. Check back here for details.